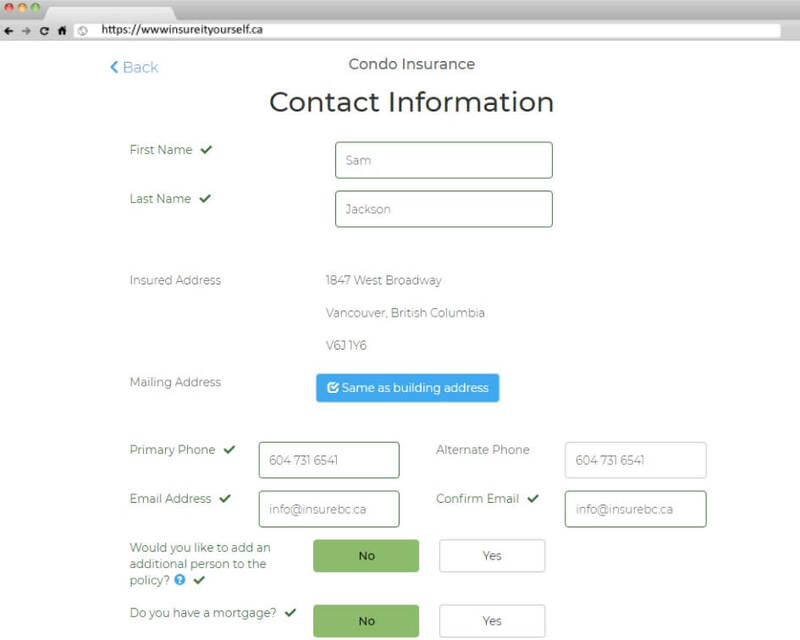 Buy your condo insurance in 3 minutes. Using our local knowledge and insurance expertise, we have helped many condo owners obtain a full range of high-quality insurance products and services exclusively designed and competitively priced to meet their unique needs. We’ve put you in control of your insurance purchase. That means you can pick from a range of coverage options, limits and deductibles that best suit your needs. Play around with the various choices and buy the policy that is unique to you and your needs. While we pride ourselves on being a digital brokerage, we realize that you may still need to talk to someone about your insurance. After all, insuring your home is not something that should be taken lightly. Our live agents are standing by to answer any questions you may have. To get started, just answer a few easy questions pertaining to your condo. Where is it located, how many units are in your building, how long have you been insured for, and a few others. This helps our system generate the best possible quote for you. 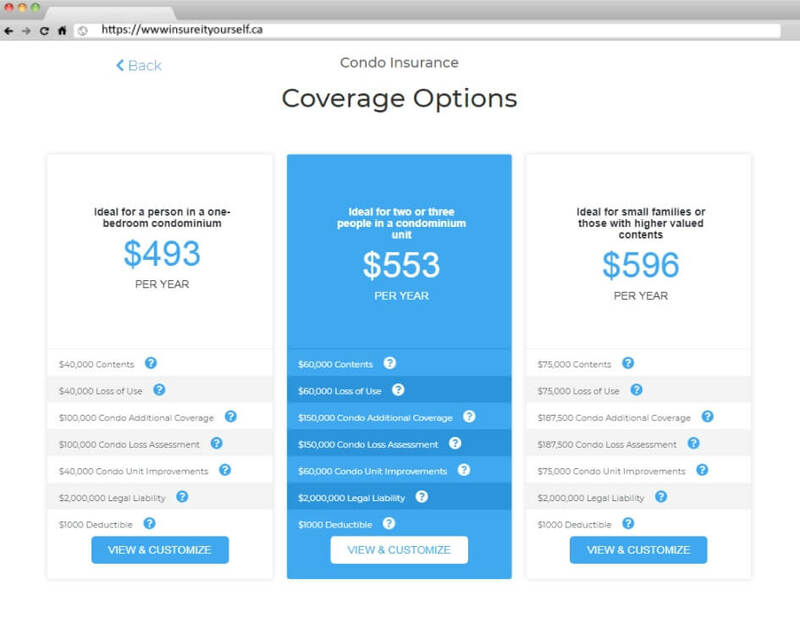 The next step allows you to pick the type of coverage you need. Select your contents limit, your legal liability limit and your deductible, along with a few optional coverages and you’re one step closer to being insured. Enter a bit of additional information, including your name, mailing address and your payment details, and you’re done. 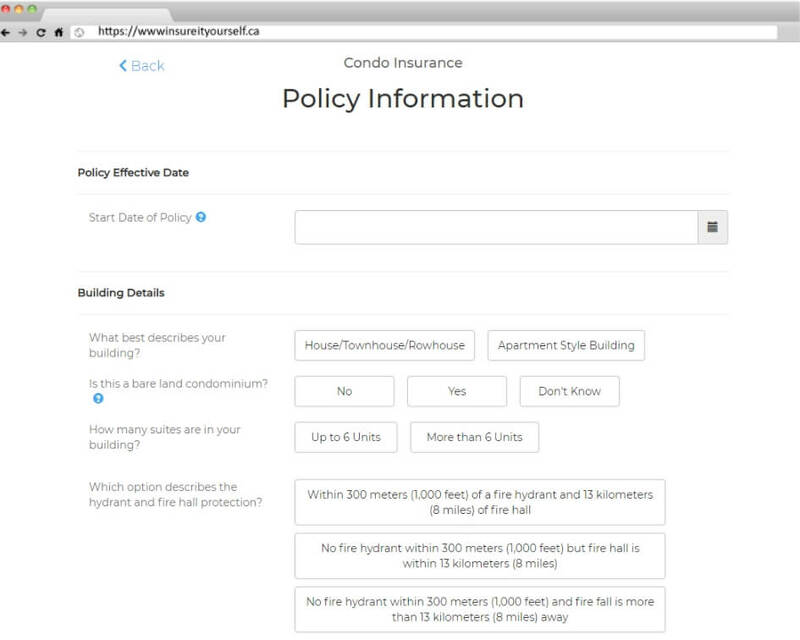 You will receive a copy of your Condo policy in your inbox instantly.